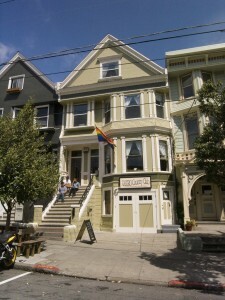 San Francisco’s Drag community is known for the many fundraisers that they sponsor and hold for many worthy causes and organizations benefiting the LGBT community and also the general community at large. One of the more well known and active drag personalities, Ana Mae Coxxx , is one of the more active fundraisers and has made it a point to make 2011 a banner year. She has engaged her team known as the Haus of Coxxx to assist her in holding events to raise monies for such charities as the Castro Country Club ( a safe haven for LGBT people in recovery from drugs and alcohol) , The Trevor Project ( Suicide Hotline for LGBTQ youth) and the Harvey Milk Civil Rights Academy ( a small alternative school in the Castro). These are a couple of some of the many charities that Ana Mae plans to sponsor or be involved in raising needed funds. With some of the enormous budget cuts that have taken place and the challenges of the economy, many charities and organizations face shortfalls in their budgets to fund needed programs. Ana Mae feels that it is important more than ever to give back to the community and has dedicated the Haus of Coxxx as a vehicle to assist with that effort. 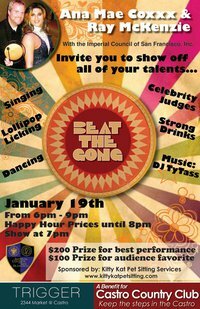 One event that is coming up is the called Save the Gong show to be held at Trigger. The show is formatted after the old TV show , The Gong Show, where amateur talent acts are featured. Judges can bang the gong in the middle of the act’s performance if they feel it is not up to par. All proceeds from donations collected and from the raffle held will benefit the Castro Country Club. The event will be held from 6 p.m. to 9 p.m. on Wednesday, January 19th . The other event to support the Harvey Milk Academy will be held from 8:00 p.m. to 11:30 p.m on Friday, February 11th at the school auditorium. It will be a full on drag show. It is wonderful entertainment with all proceeds going to the school. 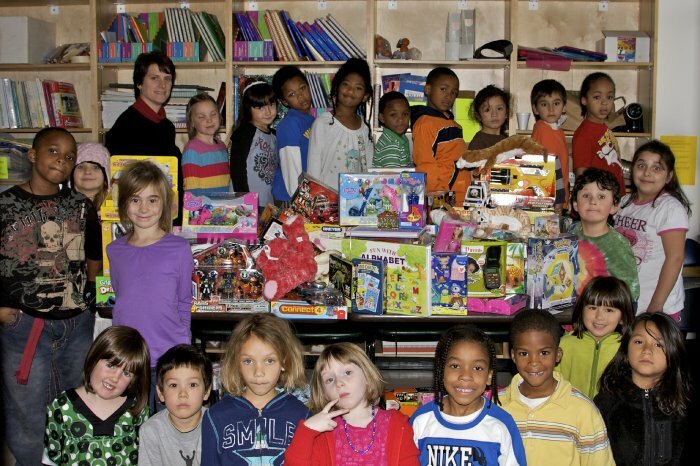 The philosophy of the Haus of Coxxx is that giving is not limited to just money, but you can give of your time. Be present. Show support. Give in whatever way you can and the returns are truly immeasurable.